Reporter Kashmir Hill spent six weeks blocking Amazon, Facebook, Google, Microsoft, and Apple from getting her money, data, and attention, using a custom-built VPN. Here’s what happened. 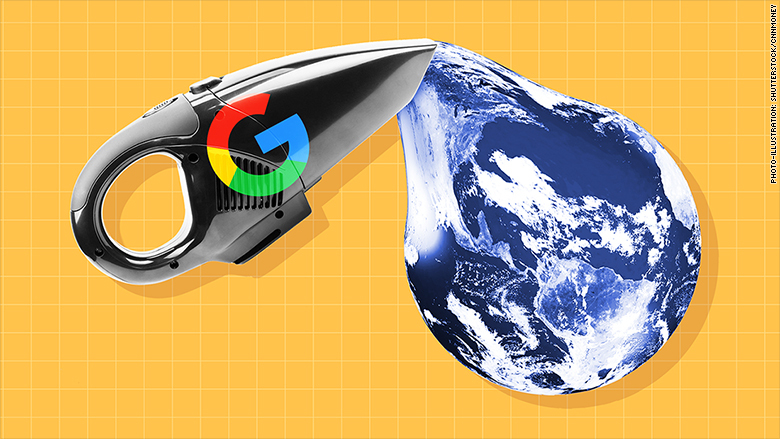 Google is no stranger to scandals, but 2018 was a banner year. It covered up the potential data exposure of a half million people who probably forgot they were still using Google+. It got caught trying to build a censored search engine for China. Its own employees resigned to protest Google helping the Pentagon build artificial intelligence. Thousands more employees walked out over the company paying exorbitant exit packages to executives accused of sexual misconduct. And privacy critics decried Google’s insatiable appetite for data, from capturing location information in unexpected ways—a practice Google changed when exposed —to capturing credit card transactions —a practice Google has not changed and actually seems proud of . I change the default search engine on Firefox and my iPhone from Google—a privilege for which Google reportedly pays Apple up to $9 billion per year —to privacy-respecting DuckDuckGo, a search engine that also makes money off ads but doesn’t keep track of users’ searches. I download Apple Maps and the Mapquest app to my phone. I hear Apple Maps is better than it used to be , and damn, Mapquest still lives! I don’t think I’ve used that since the 90s/a.k.a. the pre-smartphone age, back when I had to print directions for use in my car. There’s no way I can delete my Gmail accounts completely as I did with Facebook. First off, it would be a huge security mistake; freeing up my email address for someone else to claim is just asking to be hacked. ( Update: While other companies recycle email addresses, many Googlers have informed me since this piece came out that Google does not.) Secondly, I have too many documents, conversations, and contacts stored there. The infinite space offered by the tech giants has made us all digital hoarders. And that hoarding can be a bonanza for tech giants, allowing Google, for example, to create a “ Smart Reply ” feature that crawls billions of emails on Gmail to predict how you’d like to respond to a friend’s missive. Yay? Google is a behemoth when it comes to maps. According to various surveys , the vast majority of consumers— up to 77 percent —use Google Maps to navigate the world. And a vast majority of companies rely on Google Maps’ API to power the mapping on their websites and apps, according to data from iDataLabs , Stackshare , and BuiltWith . Even Google’s mortal enemy , Yelp, uses it for mapping on its website (though it taps Apple maps for its iPhone app). Luther Lowe, head of policy and Google critic-in-chief at Yelp, says there aren’t great alternatives to Google when it comes to mapping, forcing the company to pay its foe for the service. Many of the sites I visit want to load Google fonts —a free, open-source resource the company released in 2010 —which are downloaded from Google’s servers and then cached in the browser. Having quick access to a variety of fonts that would not otherwise be available on your computer generally helps sites load faster , but it has the opposite effect for me during the block. Given that Google has so many ways to track people’s digital activity already, I’m disturbed to see how ubiquitous the use of Google fonts is on the web, but the company has promised that it won’t use them to track a site’s users . So there’s that. And not just any phone. O’Brien has an “Android phone with no Google on it.” Google bought Android in 2007 in “ the best deal ever ,” and then started insisting that phone companies that used the operating system, which is about 80 percent of the market, bundle Google apps and make them the default options. That little directive led European regulators to hit the company with a $5 billion fine last summer in an antitrust ruling that now has Google charging a licensing fee for apps and services that most phone makers have become dependent on. To de-Google his Android, O’Brien had to install a custom operating system . “The irony is that the phones it’s easiest to do this on are the Google developer phones: the Nexus and the Pixel lines,” O’Brien says. So the operating system is Google-free, but the phone is made by Google. I am trying to do research for a story that will take me to South Africa and need to see street-level views of buildings there. I realize I don’t know how else to do that without Google Maps’ Street View, so the research has to wait. Google has so thoroughly mapped the world that I feel partially blind without it. Damn you, Google. You’ve given us some really useful products over the years, even if they weren’t welcomed by everyone . And one day, blocking Google could be even harder. With Sidewalk Labs, a product from the company to “smarten up” urban areas, Google’s trackers will extend into the real world, tracking not just how we move around the web but how we move around our cities . That would lead to tracking that Dhruv and I might not be able to stop.